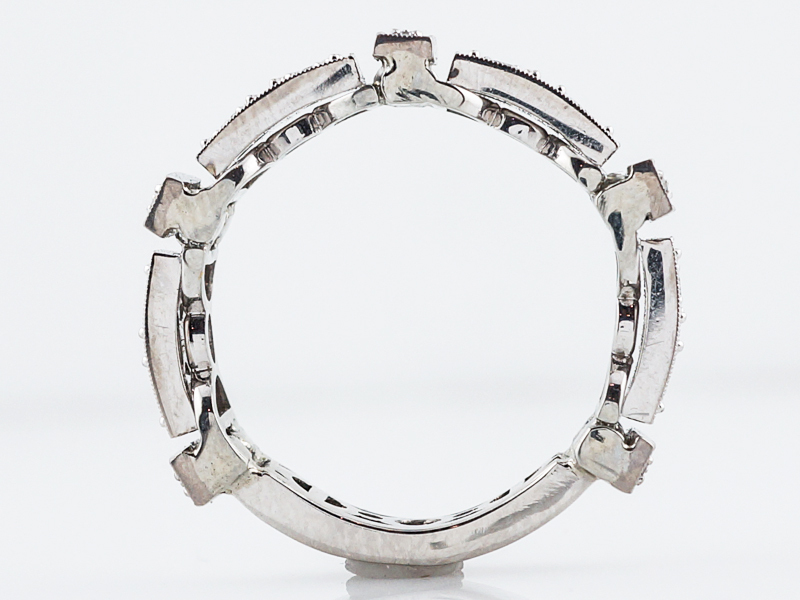 This fabulous Modern mens wedding band is beautifully crafted in a mixture of brightly polished 18k white gold and platinum. 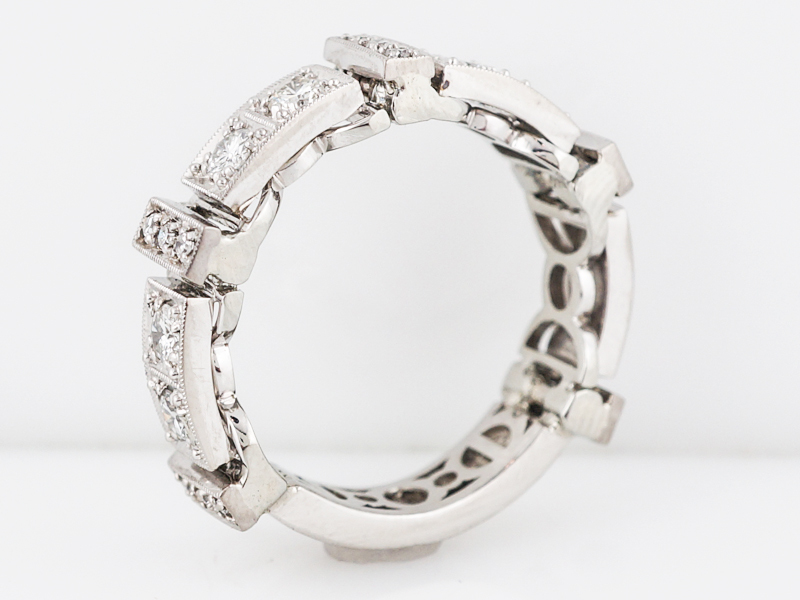 It features vertical geometric stations of three (3) round brilliant cut diamonds next to horizontal stations with larger fishtail set round brilliant cut diamonds. 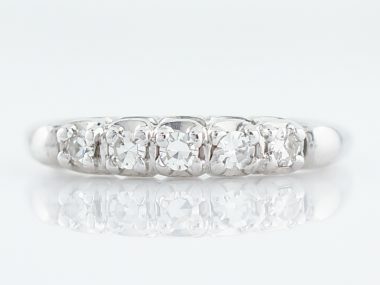 The pattern repeats itself nearly the entire length of the ring, but leave a plain section at its rear allowing for the ability to be size. 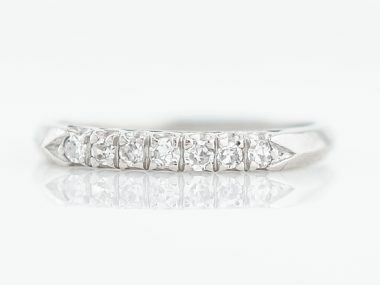 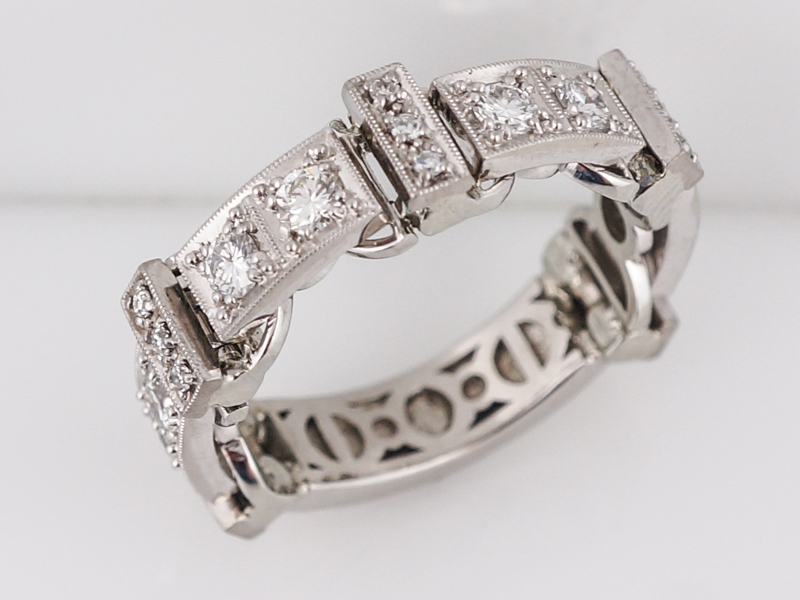 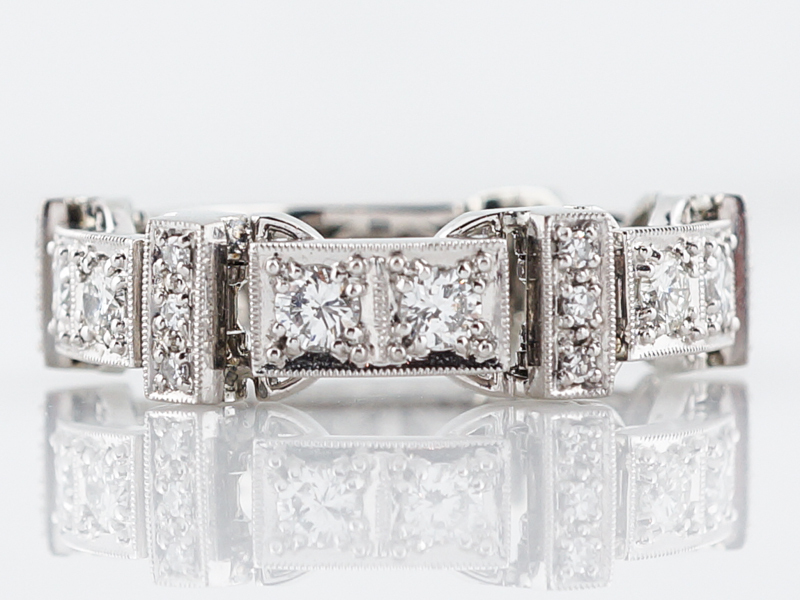 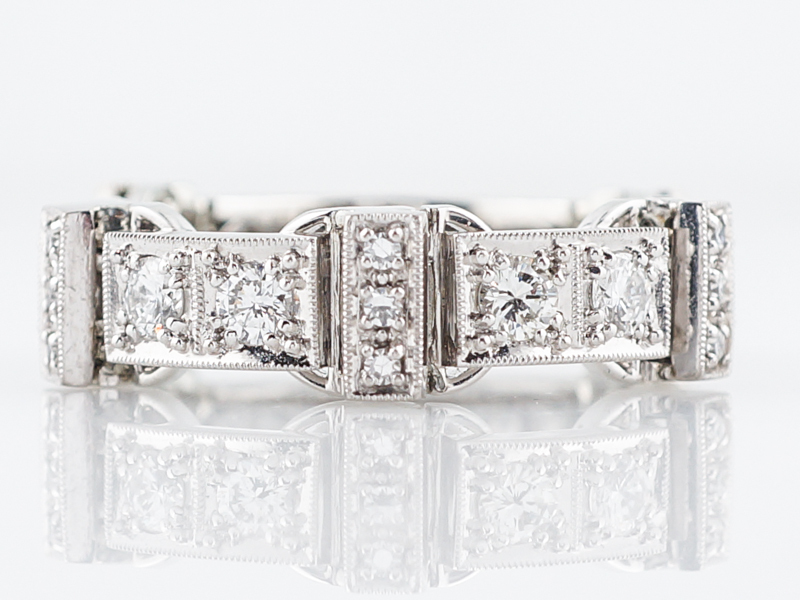 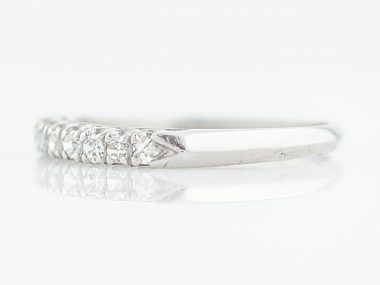 The link design paired with the fishtail bring setting of the the diamonds is a definite nod to the geometric stylings of the 1920’s Art Deco era.